David Hanney, our CEO here at Planet X honoured Cycle to Work day this morning, reporting for duty after a lengthy ride over the peaks. Cycle to Work day is a national event encouraging everyone to get off the bus, out their cars, and into the saddle. Apparently 760,000 people regularly bike to work with the number growing every year. Our CEO, David Hanney, led from the front today, jumping on to his RT58 and cycling from his abode in Hayfield, Derbyshire to our ever sunny Sheffield/Rotherham HQ. A 32 mile commute with more than 800m of climbing at 8am is normally the last thing you'd want to be doing, but we're lucky here in South Yorkshire as David didn't have to contest every patch of road with articulated lorry's and school buses, he got to sail up and over the Peak District, putting the RT58 through its paces at the same time. The profile from David's commute tops out at just under 1500 ft at it's highest, before dropping down into Sheffield, on a route from Hayfield, Derbyshire to Rotherham, South Yorkshire. The ride goes through the heart of the peaks, taking in the Hope Valley and Burbage Moor along the way. The prize for getting over the Peaks?... a visit to Sheffield! 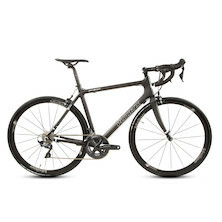 Luckily, the RT58 is one of the most versatile bikes in our range, equally strong on the ascent as the decent, i.e. the perfect companion for a ride like this. Your Cycle to Work Day commute might not have been quite as grand as this, but, as you know, it's all about the bike. 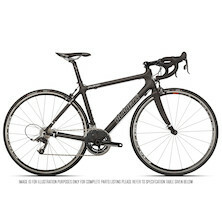 Utilising your Cycle to Work scheme you can get an RT58 like this, equipped with Shimano Ultegra, or of course our best selling, award winning Pro Carbon Ultegra (as seen on ITV's 'Cycle Show').